French Onion Soup Fill 1 Created with Sketch. Because onions are delicious and generally abundant, onion soup has been a staple of diets throughout history. (Recipes for it date as far back as the Roman Empire.) 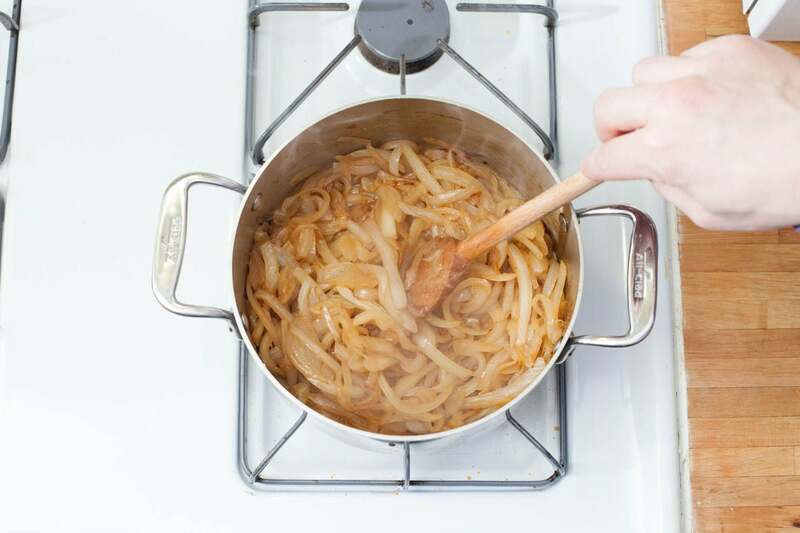 Caramelizing the onions gives this 18th Century French recipe its trademark, hearty sweetness. Topping the soup with melted Gruyere and serving it in a bread boule—named for its ball-like shape—make this dish the complete package. 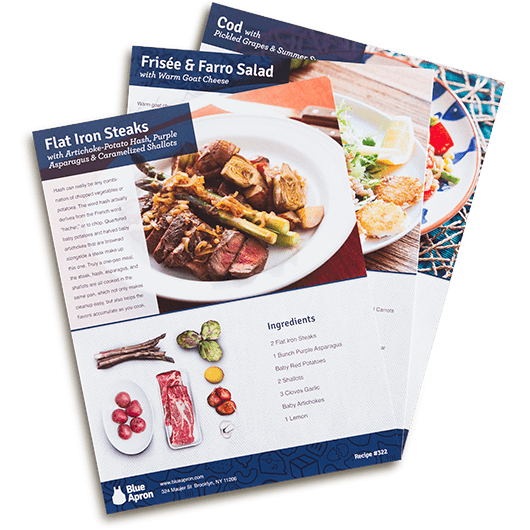 Preheat the oven to 500º F. Wash and dry the fresh produce. 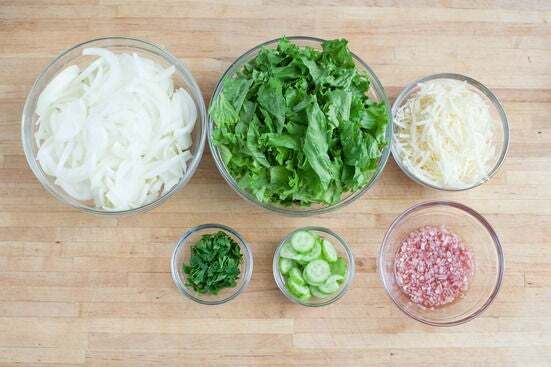 Roughly chop the lettuce into bite-sized pieces. Peel and mince the shallot to get 2 tablespoons of minced shallot; place in a small bowl with the red wine vinegar. Peel and thinly slice the onions. Pick the parsley leaves off the stems. Roughly chop the parsley leaves. Peel the cucumber and thinly slice into rounds. Grate or finely chop the Gruyere cheese. In a medium pot, heat 2 teaspoons of olive oil on medium-high until hot. 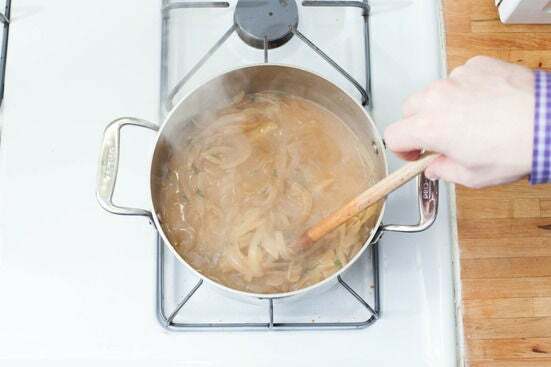 Add the onions and cook 16 to 18 minutes, or until caramelized and golden brown, stirring occasionally to ensure even caramelization. While the onions caramelize, stir the Dijon mustard into the shallot-vinegar mixture and season with salt and pepper. 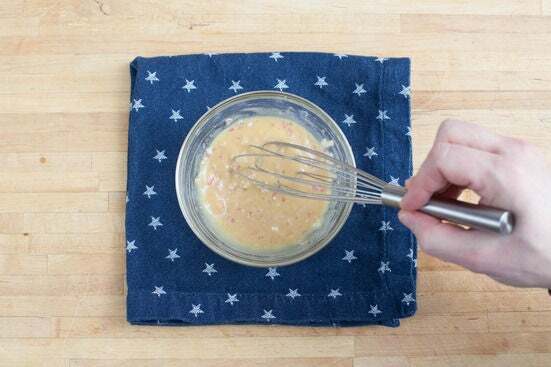 Slowly whisk in 1 to 2 tablespoons of olive oil until well-combined. While the onions continue to caramelize, using a small knife, cut off and save the tops of each of the boules. 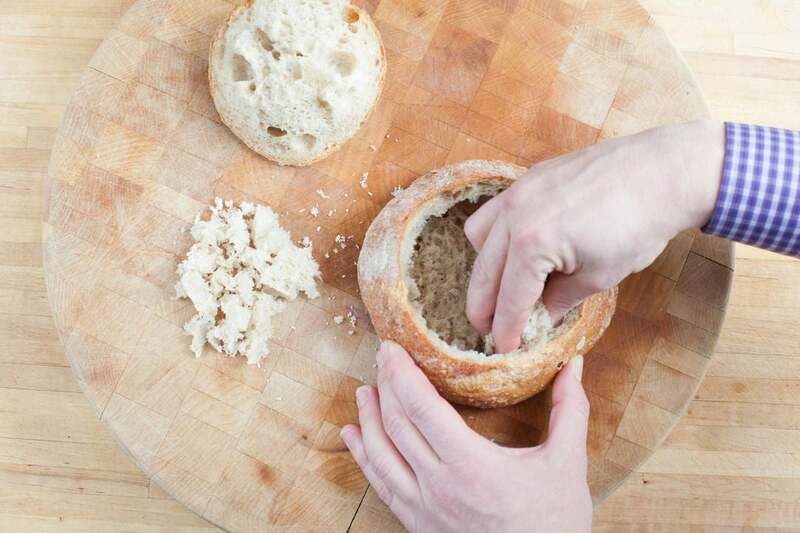 Using your fingers, scoop the soft bread out of the crust to create 2 hollow bread bowls. 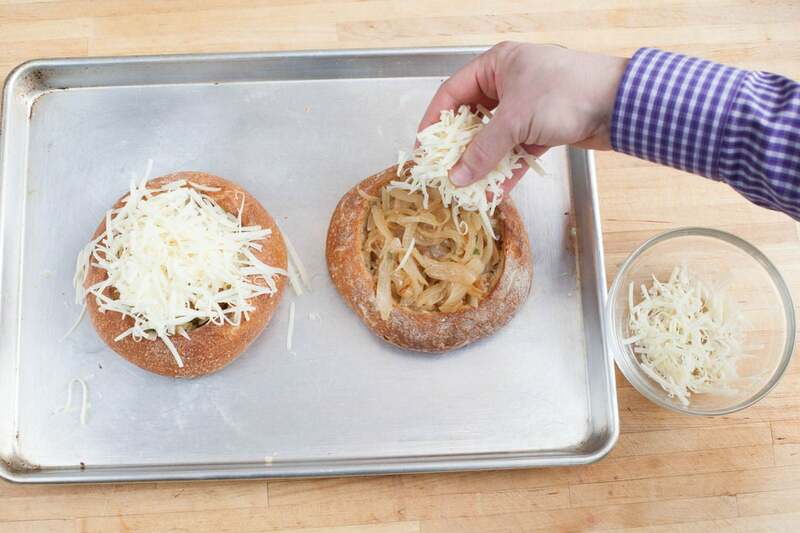 Place the bread bowls and tops onto a sheet pan and toast in the oven for 2 to 3 minutes, or until slightly browned. Remove from oven and set aside. Once the onions are caramelized, season with salt and pepper. Add the Parmesan cheese, vegetable demi-glace, 2 1/2 cups of water and a pinch of the Gruyere cheese (save the rest for assembling the bread bowl and soup). Cook 4 to 5 minutes, or until slightly thickened and reduced in volume, stirring occasionally. Season with salt and pepper to taste. 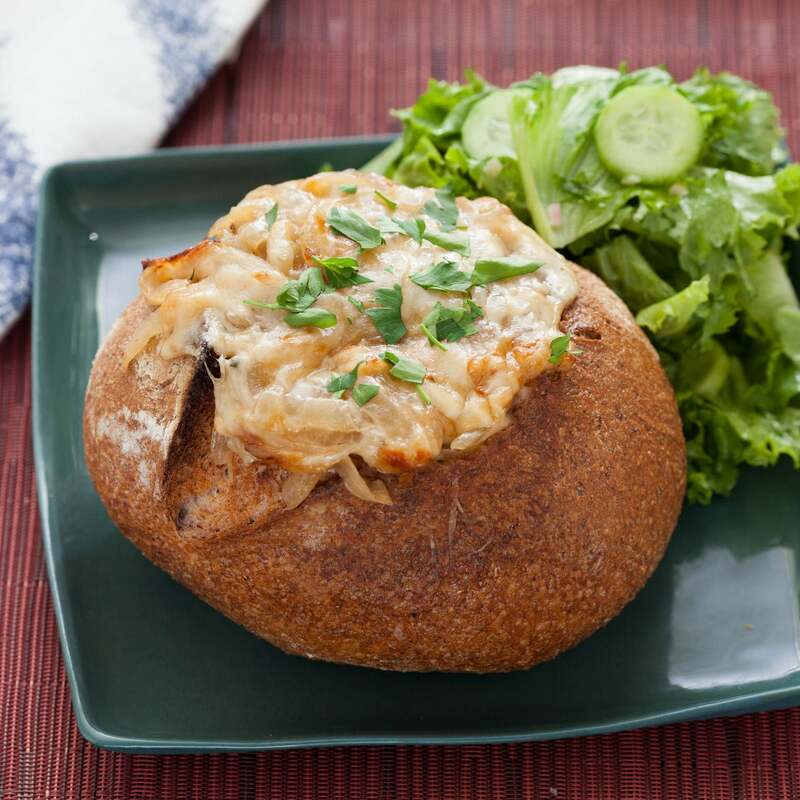 Divide the soup between the 2 toasted bread bowls and top with the remaining Gruyere cheese. Place back on the sheet pan and bake 5 to 8 minutes, or until the cheese is melted and bubbly. 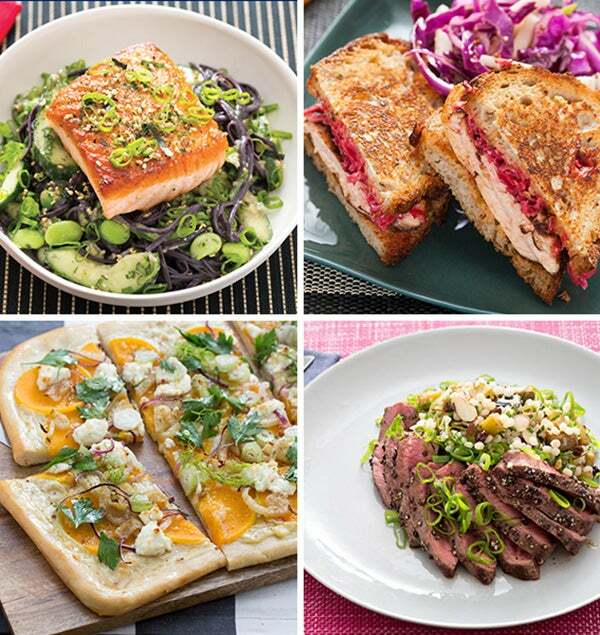 While the filled soup bowls are baking, make the salad. In a large bowl, combine the lettuce and cucumbers with some of the vinaigrette (you may have extra vinaigrette) and toss to coat. Season with salt and pepper. 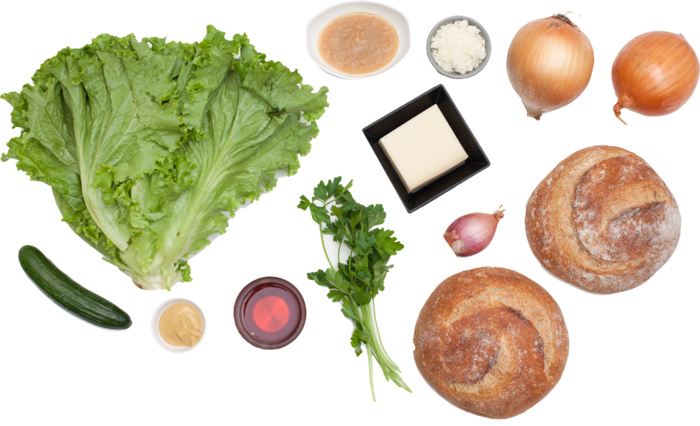 To plate your dish, place 1 bread bowl onto a plate and serve with the salad on the side. Garnish the bread bowls with the remaining parsley. Enjoy!